Design–Build (D/B) is a project delivery system used in the construction industry. It is a method to deliver a project in which the design and construction services are contracted by a single entity known as the Design–Builder or Design–Build Contractor. In contrast to “Design–Bid–Build”, Design–Build relies on a single point of responsibility. This method minimizes risk for the project owner and reduces the delivery schedule by overlapping the design phase and construction phase of a project. D/B carries the clearest contractual remedies for the clients because the D/B contractor will be responsible for all of the work on the project. The traditional approach for construction projects consists of the appointment of a designer on one side, and a contractor on the other. The Design–Build procurement route changes the traditional sequence of work. It answers the client’s wishes for a single-point of responsibility in an attempt to reduce risks and overall costs. It is now commonly used in many countries and various types of contracts are widely available. Danforth’s Design-Build Model was developed to allow us to seamlessly design, estimate, and construct your next project. As a single source D/B solutions provider, our Team’s performance is not muddled with communication and coordination errors that can arise using multiple contractors to complete these projects. Our goal is to make your vision a reality through functional and sustainable design and implementation of mechanical systems. We have built a team consisting of Designers, Project Managers, Drafters and Technicians that has the unique blend of Process Expertise necessary to complete your project from start to finish. We continue to educate and grow our team as new challenges arise and new technologies become available. 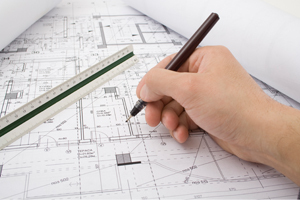 We also coordinate with Architects, Engineers and General Contractors for larger projects with multiple aspects. 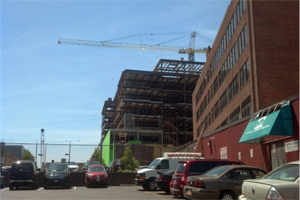 The Buffalo Niagara Medical Campus has expanded with the construction of Conventus. This facility, located in downtown Buffalo, will be home to medical offices and laboratory space. Danforth’s role in the project is to provide mechanical expertise for both the core and shell of the building. Our Team is in the process of installing closed circuit coolers, multiple boilers, heat pumps and custom air handling units. Aside from installation, Danforth assisted the engineer with the design of the mechanical systems and will provide balancing services as part of our Integrated Project Delivery Model.